This visual abstract depicts the findings of Möhle et al., which show the impact of prolonged antibiotic treatment on brain cell plasticity and cognitive function. 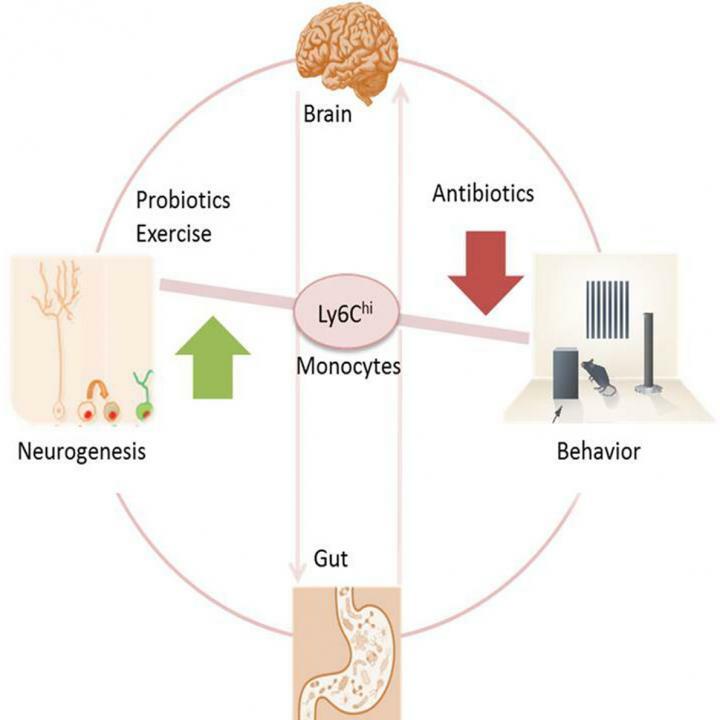 They were able to rescue the decrease in neurogenesis by probiotic treatment, physical exercise, or transfer of Ly6Cpos monocytes. They propose that the Ly6Chi population is crucial for brain homeostasis and plasticity.